Producing efficient exhibition stands is all about understanding the clients needs often not for just a single exhibition, but for future one’s too. This can be an expensive investment. Understanding our clients unique needs and budget enables us to produce something that will not waste the clients time or money, but deliver an effective solution. We’ve had loads of fun finding solutions for our clients and addressing the unique challenges each project involves. Finding an effective solution within budget and on time is a team effort and we’re privileged to enjoy great teamwork with our clients. We look forward to forming new relationships as we solve the challenges together in taking your business to the next level. 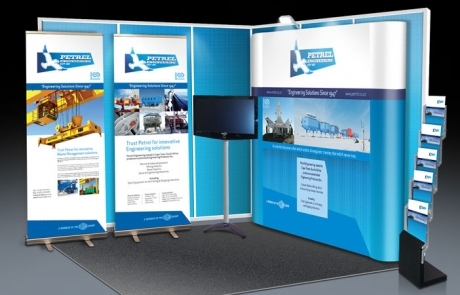 Below are some our point-of-sale and exhibition stand design projects we’ve undertaken. 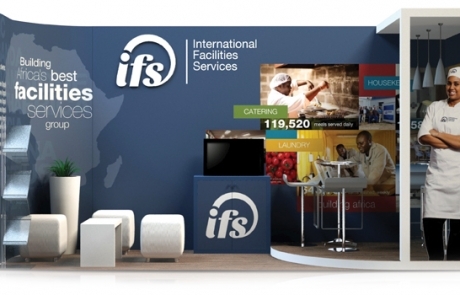 IFS exhibition stands at the Mining Indaba in Cape Town. 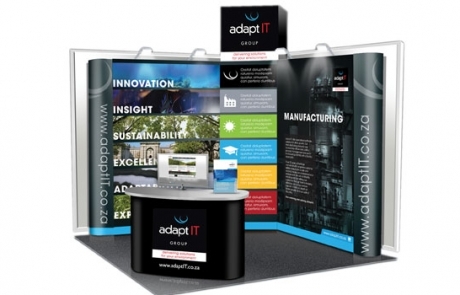 Award winning exhibition stand design for Adapt IT.